Maxwell E. Johnson, PhD, is professor of liturgy at the University of Notre Dame and an ordained minister of the Evangelical Lutheran Church in America. He is author of The Rites of Christian Initiation: Their Evolution and Interpretation (Liturgical Press, 2007, revised and expanded edition) and several other Liturgical Press books as well as being a frequent contributor to Worship. While the proposals here may be too bold for many in the evangelical and Pentecostal traditions to implement in their congregations, the essays provide rich resources for preaching and an effective text for discussing the popular religion of Christians in a variety of academic and pastoral contexts. For most Christians, popular piety, be it Marian or charismatic, and popular prejudices and misconceptions, have a stronger hold on the imagination than historical affirmations of the Incarnation or careful biblical exegesis. This study, therefore, is an important contribution to building bridges among Christians and deepening understanding on one of the most contentious issues in Christian piety. This volume is an ecumenical, theological, and spiritual treasure. Maxwell Johnson and his colleagues interpret the story of the encounter of Mary of Guadalupe with Juan Diego as a true preaching of the Gospel-good news of salvation, especially for the poor. In the hands of these creative scholars and pastors, an area of theology and spirituality that for too long has been a source of division among Christians-Mary and the saints-becomes a shared resource for Christian prayer, unity, and mission in a multicultural world. 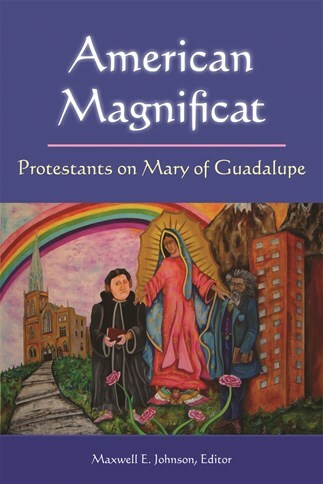 This rich collection of essays by a group of eminent Protestant scholars considers the theological and cultural significance of Our Lady of Guadalupe. The intelligence and generosity these contributors bring to bear on the topic is illuminating. Their labors reflect the truth of the old dictum: De Maria, numquam satis.